You do not have to know how to invest in stock markets in order to make your money work for you. Real estate investments are sometimes even more lucrative for investors. If you are considering investing in real estate, Mexico is one location that provides a ton of benefits to potential investors like yourself. Mexico real estate opportunities are flourishing. However, you need to know how to safely invest in Mexican real estate before you go ahead and invest your hard-earned money in a risky location. Find out how to safely buy property in Mexico for a secure, lucrative investment with these tips below. One of the best ways to find the best real estate investment opportunities in Mexico is to get a referral from a friend. Do not just elect to go with the first Mexican real estate agent you find online. There are no licensing requirements for realtors in Mexico. Instead, find a reputable realtor from someone else who owns property in Mexico. This is the best way to make sure you safely invest in Mexican real estate. You want to be sure you research the different areas of real estate in Mexico that are up and coming. This is a must if you want to make a safe property investment. Whether you do a bunch of online research or travel to Mexico to experience the areas for yourself, this is a must. You can also ask the reputable realtor you found for advice. 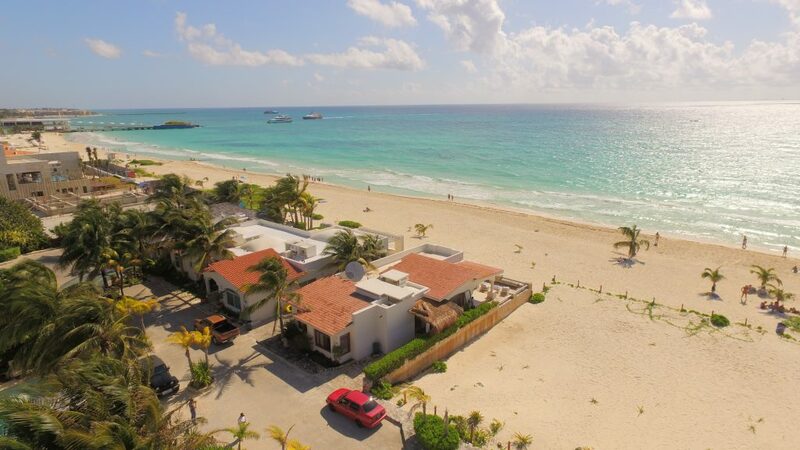 Regardless of how you go about it, make sure you find out all you can about the best real estate investment opportunities in Mexico before you go throwing money away on a potentially bad area that turns out to not be a turn key real estate opportunity. You should definitely acquire legal services from a bilingual attorney. Otherwise, you will not be able to ensure a sound investment. Your due diligence is not nearly as effective as a lawyer’s. An attorney will be able to prepare a legal Contract of Purchase in both languages. This ensures that your investment is made according to all of your terms and conditions. A lawyer can also make sure that there are no liens or encumbrances on the property and protect your money in an escrow account. If you want to make safe real estate investments in Mexico, hiring a lawyer is a must, preferably one who is bilingual. When you finally do find a property in Mexico to invest in, make sure you get title insurance from an American company. First American, Stewart Title and Land America are three companies that insure property in Mexico. You may be told that you do not need this, whether by property sellers or their agents. However, this is non-negotiable. Make sure you get title insurance from an American company for the property. Otherwise, do not complete the deal. Once you own property in Mexico, you are required to pay taxes to their version of the IRS, which is called Hacienda. Make sure you pay these taxes on your property in Mexico. Do not forget. Give your vacation meaning by making sure to head down and pay your taxes each year. Otherwise, Hacienda can lien and foreclose on your property. This is true whether you do not file taxes or you underpay your tax bills. Be sure to pay taxes in full every year for your Mexican properties, whether you do it in person or from the comfort of your own home in the United States. If you are interested in investing in Mexican real estate, you are making a great decision for your financial future. However, you want to be sure you are buying Mexican real estate in the safest manner possible. Make sure to use these tips above when you are looking at property in Mexico. Otherwise, you may wind up wasting a ton of money on a bad real estate investment.